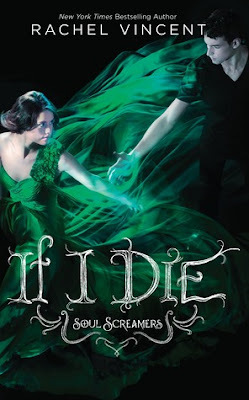 The book I am most looking forward to releasing in the next five months is most definitely Rachel Vincent's If I Die. This is a most anticipated book for me as well ^-^ I really enjoy the Soul Screamers series and i'm dying to find out what happens next! Such a gorgeous cover; I haven't read this series yet but it looks really interesting! @Bookworm you should definitely start it. Book one is called My Soul to Take. Ahh! I'm really excited for this one since I love the series. The cover is great too.